Rycote Boom Adaptor Swivel 3/8"
Product #21213 | SKU 047307 | 0.0 (no ratings yet) Thanks for your rating! 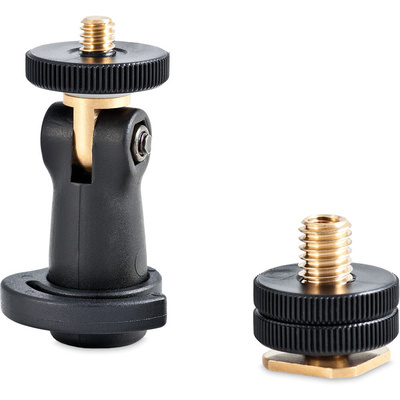 The 3/8" Boom Adaptor Swivel from Rycote allows devices such as portable audio recorders and cameras with female 1/4" threading to mount on a 3/8" male thread commonly found on mic stands and boom poles. It can also be attached to a camera hot shoe with included adapter.